Knopf Books for Young Readers, 9781524773236, 240pp. Just right for fans of Pam Muñoz Ryan, this story of moving out and moving on is a touching portrayal of the experience of leaving one's home country and making new friends--sometimes where least expected. Eleven-year-old Carolina's summer--and life as she knows it--is upended when Papi loses his job, and she and her family must move from Puerto Rico to her Tía Cuca and Uncle Porter's house in upstate New York. Now Carolina must attend Silver Meadows camp, where her bossy older cousin Gabriela rules the social scene. Just as Carolina worries she'll have to spend the entire summer in Gabriela's shadow, she makes a friend of her own in Jennifer, a fellow artist. Carolina gets another welcome surprise when she stumbles upon a long-abandoned cottage in the woods near the campsite and immediately sees its potential as a creative haven for making art. There, with Jennifer, Carolina begins to reclaim the parts of the life she loved in Puerto Rico and forget about how her relationship with Mami has changed and how distant Papi has become. But when the future of Silver Meadows and the cottage is thrown into jeopardy, Carolina and--to everyone's surprise--Gabriela come up with a plan to save them. Will it work? Emma Otheguy is the author of the picture books Martí's Song for Freedom, which received five starred reviews, and Pope Francis: Builder of Bridges. A native and current resident of New York City, Emma is a historian of Spain and colonial Latin America. This is her first middle-grade novel. Learn more about her online at emmaotheguy.com and @emmaotheguy. "Emma Otheguy’s exquisitely poetic novel, Silver Meadows Summer, is an absolute joy to read. 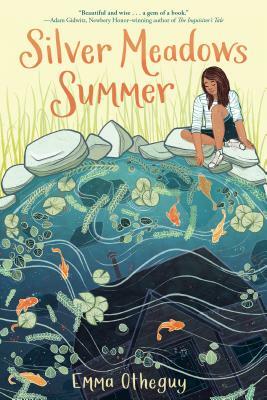 Summertime becomes a magical season of discovery in her beautifully conjured and unforgettable story of immigration and hope for new beginnings. Every reader will fall in love with Carolina and her tender quest to create a home of the heart in an abandoned cottage in New York’s woodlands after losing homes in both Cuba and Puerto Rico. Daring to address vulnerability on the deepest level, this novel cultivates empathy and compassion. With its stunning evocation of the poems of Frost and Machado, its attention to family ties and class tensions, and its faith in friendships that create cultural bridges, Silver Meadows Summer is a magnificent contribution to the diversity of the new American literature for young readers."